You launched the open tryout process looking to find the best athletes in America for Stars + Stripes. What can you tell us about what the process is yielding? "We are extremely satisfied with the foiling camps. 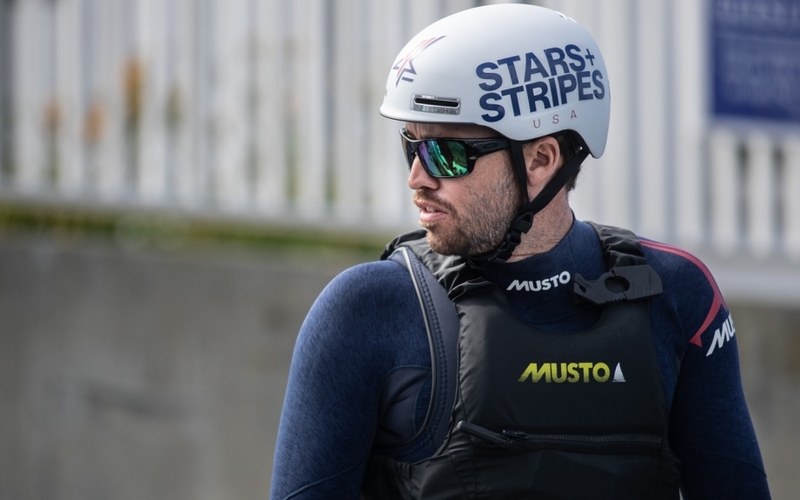 While we are sailing GC32 catamarans which will be quite different to the AC75, this foiling platform has allowed us to evaluate the skills, fitness, and decision making needed to become a member of Stars + Stripes. We have also seen how everyone operates in a team environment and how people react to high pressure situations at high speeds." What has struck you the most seeing all the athletes who are applying? Have you watched all the submissions? "I have been keeping up with all the application videos that have come in (not an easy task given the mass of qualified people that have applied) and I love the enthusiasm everyone has shown! We have set up this team to create opportunities for American sailing. It seems the public agrees that it is time for a change. We need more Americans at the top level of the sport." How is the team balancing recruiting for speed vs. power in the tryouts? What are you looking for onboard the AC75? "The team has divided our tryouts into two general roles. We have the speed team that is aimed towards athletes who will be responsible for roles such as helmsman, flight controller, trimmers, etc. and the power team that will be primarily providing the power to the boat through grinding on the pedestals. All athletes trying out are put through the same vigorous fitness testing"
You’ve never raced in the AC and most of the people trying out haven’t either. Is that good or bad? "I don’t believe there is a disadvantage to not having competed in the America’s Cup previously. The AC75 we will be racing is like nothing we have seen before. We have the ability to build a fresh American team with no expectations that prioritizes teamwork over individuals. We will of course also be adding in athletes with America’s Cup experience and can really help develop our team into becoming a strong unit." Any message for those still applying to be on the team? There is still time to get those applications in! Be sure to tell your friends!